Welcome to my August #TuesdayTea celebration of JOY! Recently, my husband and I stayed with our three grandchildren while their parents took a relaxing vacation trip. Our week with these amazing little ones was filled with treasured moments of JOY! We played in the sand, splashed in the wading pool, baked cookies, drew pictures, harvested a cucumber, read stories, wrote books, walked to the park, watched movies and sipped homemade lemonade. One of my favorite times was baking cherry scones with the little helpers, then enjoying a high tea luncheon. We made cherry scones and cucumber sandwiches for afternoon tea! The cucumber and cream cheese sandwiches were a surprise hit, along with the peanut butter finger sandwiches. A fruity herbal tea was the perfect beverage choice for our little group. Fresh strawberries provided the just-right dessert. All three grandkids loved the tea celebration, pleasing Grammy with their enthusiasm. We made so many treasured memories! The eight-year-old delighted in creating scented soap for her parents, the five-year-old happily explained his amazing LEGO creations, and the baby reached for my hand as she settled in for her naps….perfect moments of JOY! We are so thankful to be able to spend time with our grandchildren. It was a week filled with smiles and love…..treasured blessings of JOY! I’m currently taking a class, Monster Revisions, to do an intensive edit of my historical romance manuscript. I’m filled with JOY to be working on this story again after completing it two years ago. Are you looking for book recommendations to end your summer? I have some suggestions, as reading time always brings JOY. If you like historical, Julie Lessman’s Love’s Silver Lining is a romance set in Virginia City, Nevada, in 1885. As the author does so well, this story is filled with sweet passion and the blessing of faith. I love the strong family members and other characters in this story. If you like contemporary, A Father for Bella by Jill Weatherholt, is a good choice. I’ve just started this book and already find it engaging. It features one of my favorite settings….a country inn bed and breakfast hotel. I love to imagine I’m staying in small inns, like a virtual vacation. If you like a bit of both historical and contemporary, the novella collection Legacy of the Heart, by Danica Favorite, Stacy Henrie, Tina Radcliffe, Terri Reed and Sherri Shackelford, would be just right. An antique locket is the thread between these five stories. I enjoyed them all. Forest hiking in the mountains brings me JOY. From my mid-August reflections of summer, I’m thankful to have enjoyed many moments of joy. I found the following scripture appropriate. The sounds of joyful grandchildren and the summer hiking sounds of birds singing filled my heart with the light of our Lord. I treasure these memories. Thank you for joining me for #TuesdayTea! Please try a sample of the goodies. I hope you enjoy the cucumber sandwiches as much as my grandson did. What joy-filled times did you treasure this summer? May your life be filled with the treasures of smiles and love…and many moments of JOY! *I appreciate your thoughts and apologize for the delay in approval and posting of your comments. 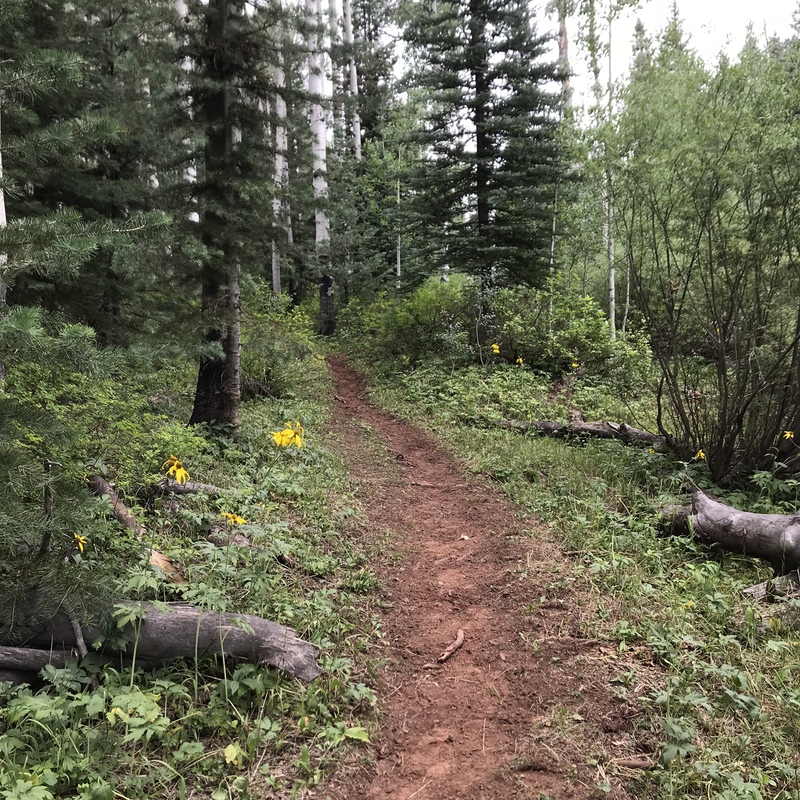 This entry was posted on Tuesday, August 14th, 2018 at 6:00 am	and is filed under books, devotional, Food and Treats, Inspiration, Writing news. You can follow any responses to this entry through the RSS 2.0 feed. You can leave a response, or trackback from your own site. This is such a wonderful post. I loved experiencing your visit with the granblessings with you. Your granddaughter is quite the artist for 8 yrs old! I like your JOY theme for this month too. We’ve got to be intentional about seeking it out I think. Otherwise it’s all too easy to get bogged down in the normal and mundane of daily living. Tracey, thank you so much for sharing this verse! Truly JOY comes from knowing my two sons are faith-filled men, and their families walk in our Lord’s truth. We are indeed blessed…and continue to pray….for all! Hello Sherida, What a lovely post today! 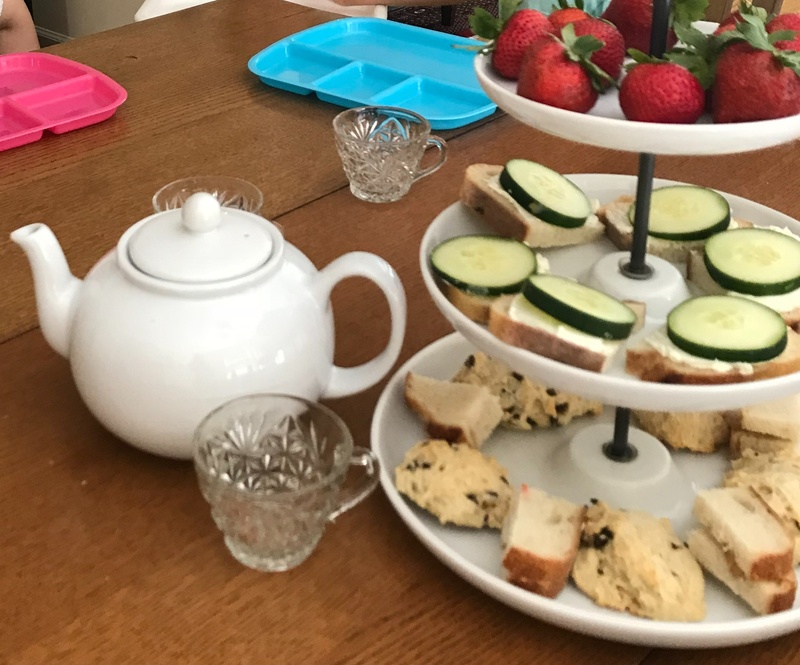 🙂 Your special time with your grandchildren sounds perfect, and how fun to have an afternoon tea! That sweet picture your granddaughter drew is adorable, and will be a priceless treasure for you (especially years from now). I also love your theme of JOY. When I spoke at my precious mother’s funeral 13 years ago, I mentioned something she’d told me when I was very young. She’d said the secret of true joy is to put Jesus first, Others next, and Yourself last. That reminder of J-O-Y has always remained with me! Thank you for sharing this today—your posts are always SO delightful. Patti Jo, thank you for sharing this perfect advice from your sweet mother. I will tuck J-O-Y into my heart. I know you are treasuring some special smiles this summer. 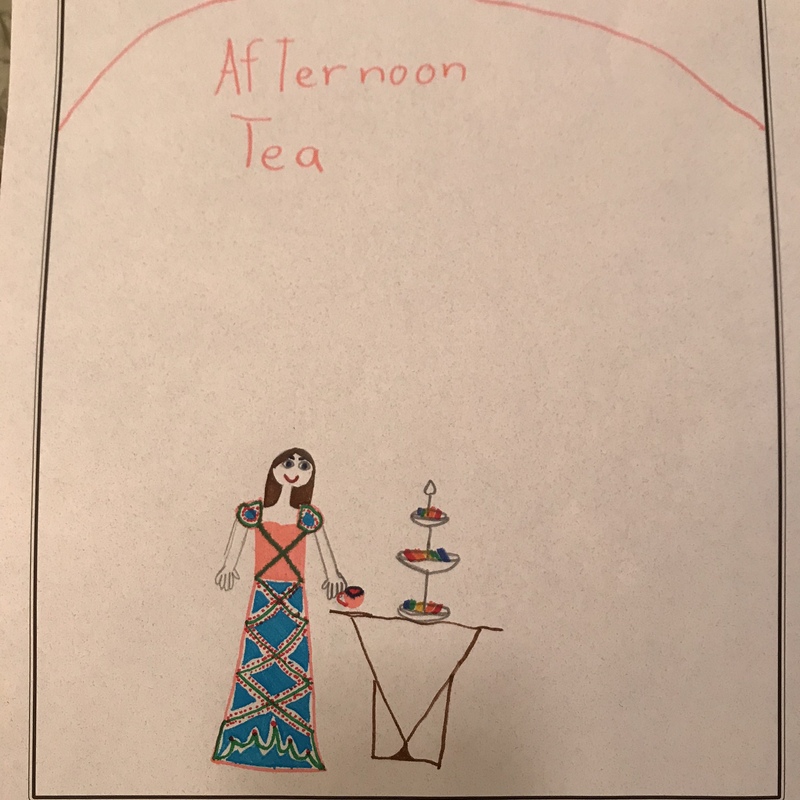 Thank you for stopping by for afternoon tea! Thank you for stopping by, Jill! It’s interesting to visit the beautiful Shenandoah Valley through your books. Blessings! No computers were harmed in the 2.365 seconds it took to produce this page.